Why Was There no Insurgency in Germany & Japan After WW2? After the devastation of years of fighting, the German and Japanese surrendered unconditionally at the end of the Second World War. Both of their economies and war machines were totally destroyed. In neither Germany nor Japan were there any significant insurgencies or organized resistance after the war. 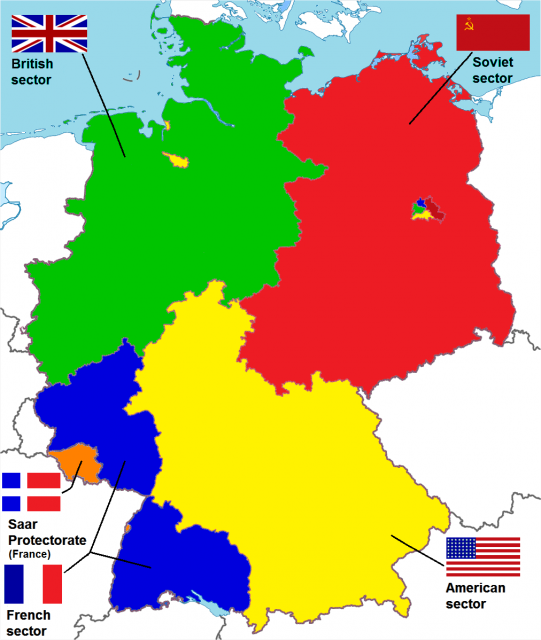 Over the next few decades, Germany would become a trusted ally in NATO (North Atlantic Treaty Organization) and a keen partner in the EU (European Union). 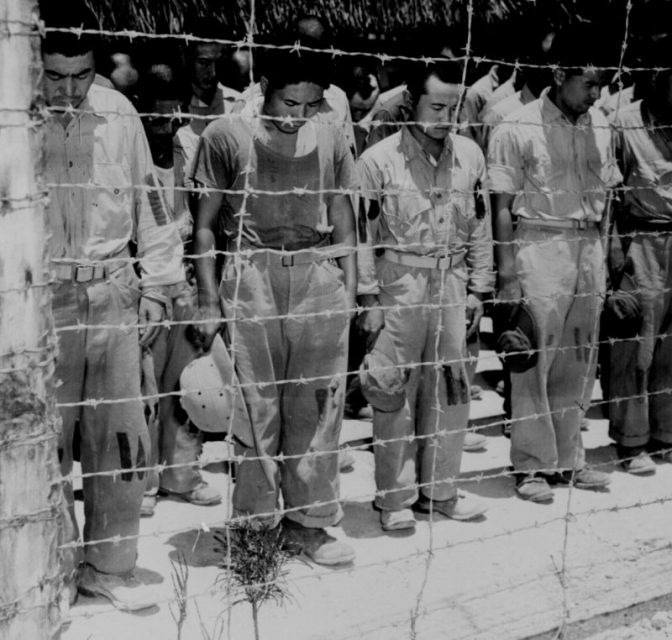 As for Japan, it would still have American troops based on its soil over 70 years later but as allies not as occupiers. Japan would also adopt a military policy based on a defensive nature. But why would these two powerful countries wage war against the world in such an aggressive and bloody way then surrender in 1945 with no further resistance? 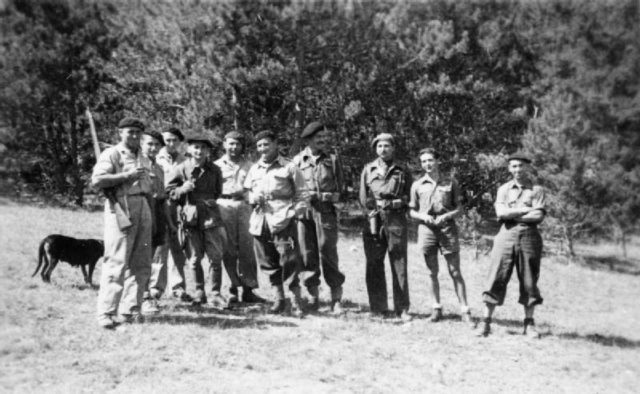 When France was over-run in 1940, a very active and organized resistance arose. They carried out attacks, acts of sabotage, produced underground newspapers, provided intelligence to the Allies, and created escape networks for Allied airmen trapped behind enemy lines. They did all this despite suffering terrible reprisals, such as those handed out at Vassieux-en-Vercors in 1944 where the German forces executed more than 200 villagers, including women and children. Even though the British mainland was never invaded, a secret resistance network sprung up in 1940 called the HDS (Home Defence Scheme). It began to set up secret arms dumps across the country. So why did Germany or Japan not do the same? Could it be that there were, in fact, a lot of insurgencies and terrorist acts but these were covered up by the winning allies since such actions did not fit in with their vision of peace and unity for these two conquered nations? It seems unlikely, mainly because it’s inconceivable that in the last 70 years the world’s free press would not have uncovered such a deception. So why did two fanatical regimes just seemingly give up so completely at the end of World War Two? First of all, let’s take Germany. The Nazis had been in power since 1933. In the eyes of many, the party had transformed the country from a broken and defeated nation into one that had become dynamic and filled with pride once more. It was led by a charismatic and dedicated leader — Chancellor Adolf Hitler — who surrounded himself with idealistic and driven men like Joseph Goebbels, Hermann Goring, and Heinrich Himmler. Werner Naumann was a top Nazi official in the Department of Propaganda. In early April 1945, just as the war in Europe was about to end, he sent out a long and rambling message to the Heads of all the Regional Propaganda offices across Germany. For a short time, the prospect of an organized and committed German resistance worried the Allies greatly, though ultimately nothing came of it all. Could it be that the Allied mass bombing campaign had dismantled the German war machine and economy so completely that it was almost impossible to wage a war of any kind? 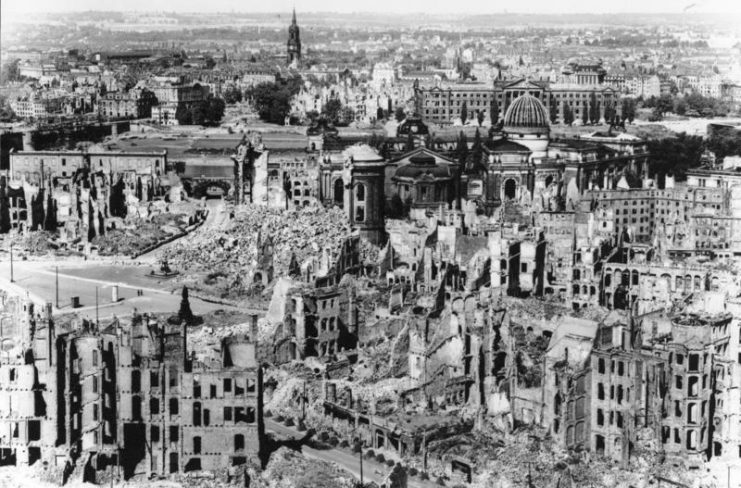 Dresden after the bombing raid. The truth of the matter was that the country was now so economically reliant on the Allies that it would have been total madness to bite the hand that now fed them. 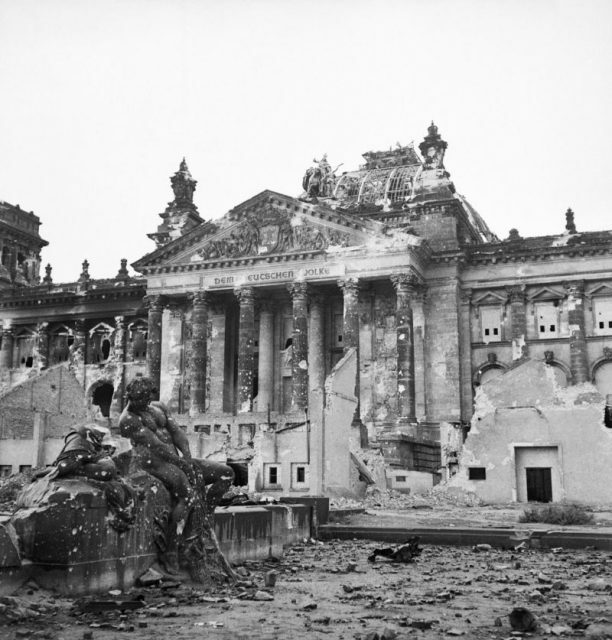 By the end of the war, Germany had lost between 5 to 7 million soldiers and civilians. All that was left were old men, many of whom were sick of fighting after having seen two world wars already, children who were more preoccupied with their now empty stomachs, and women who were mourning the loss of their husbands, fathers, and sons. 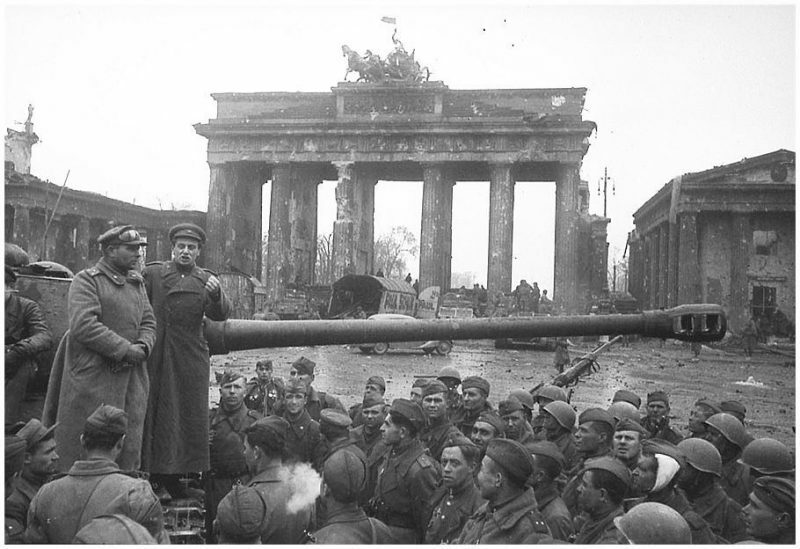 Many Germans were scared of what the Soviets might do, as they were so ideologically opposed to everything the Nazis had stood for. There was also a genuine fear that the slightest resistance would bring about the ruthless oppression that was shown before in the Soviet Political Purges of the 1930s which claimed as many as 1.2 million lives. In many ways, their fears were well-founded, as it is estimated that at least 100,000 women had been raped by Soviet troops in Berlin alone at the end of World War. Also there was no natural or safe place to set up a government in exile. In effect, the Nazi political structure was totally dismantled by the end of the war and did not re-emerge as a political force elsewhere. 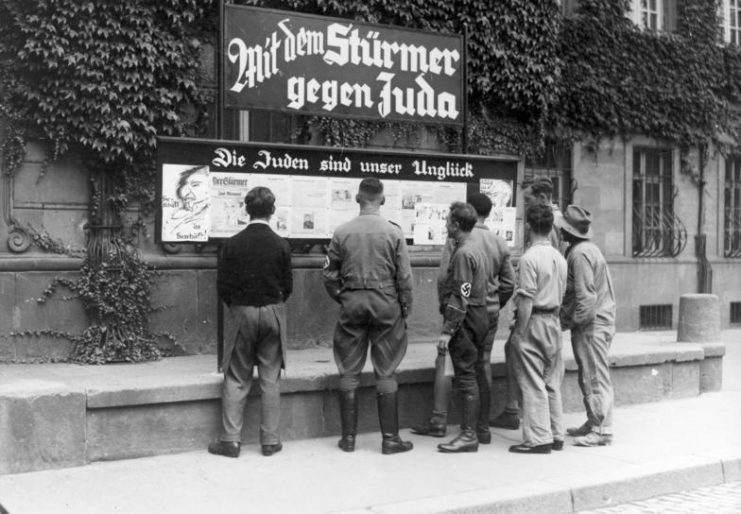 A policy of Denazification was also carried out by the Allies after the war. 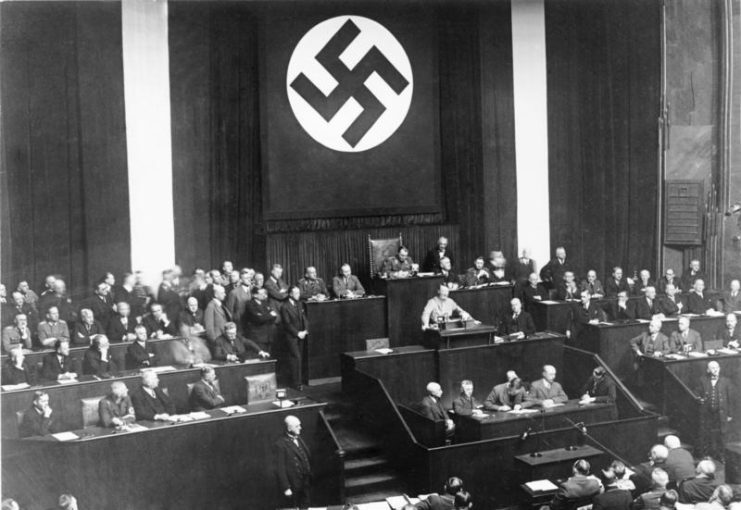 This was designed to eradicate from German and Austrian society the symbols, political organizations, and structures that had personified the Nazi culture. It also served to remove those closely associated with the Nazi regime from positions of influence and power. 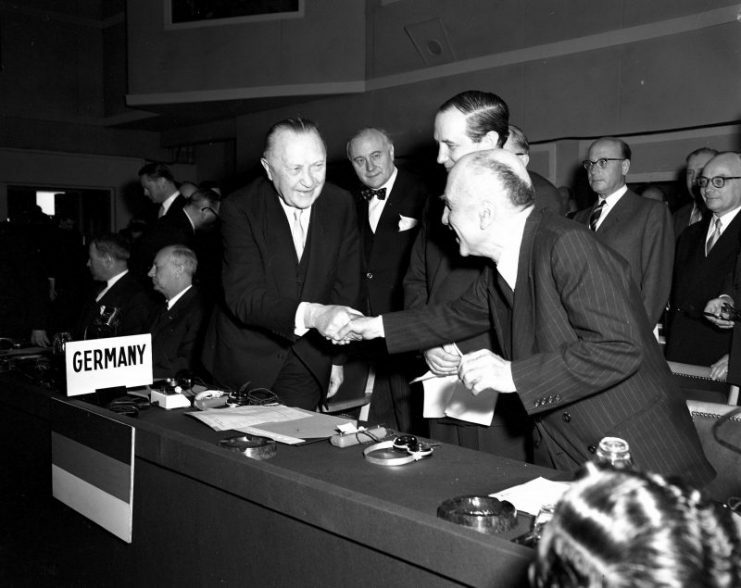 However, by 1951, the Western powers had moved more towards reconciliation than denazification as the realities of the Cold War became apparent. Crucially, unlike the Treaty of Versailles in 1919 that had imposed strict reparations on Germany, the Potsdam Agreement of August 1945 was seen by many as not being so harsh. For instance, the only real large territorial loss was the city of Königsberg and some adjacent area to the Soviet Union. 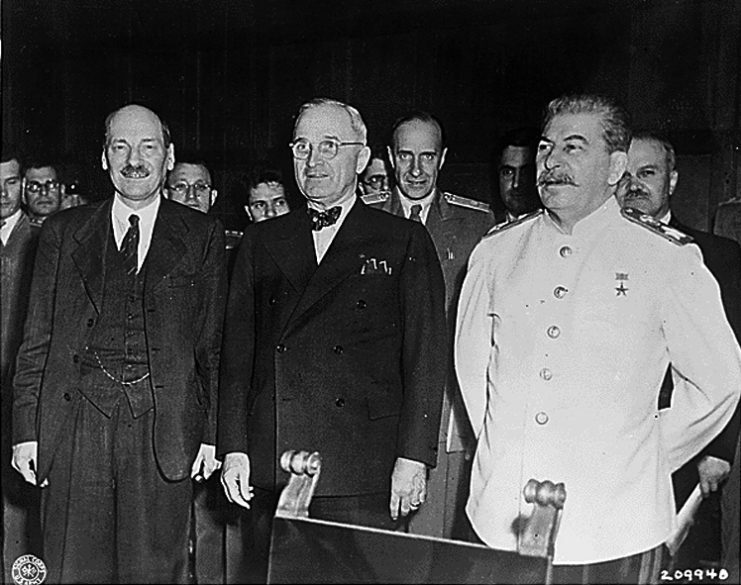 Postdam agreement between three of the Allies of World War II, the United Kingdom, the United States, and the Soviet Union. Attlee, Truman, Stalin. There were some reparations paid to the Allies by Germany, but they were neither excessive nor long term. The main emphasis was refocussing all German civilian heavy-industry with war-potential into an economy based on agriculture and light industry. Such an outcome did not leave the German people feeling as bitter and humiliated as they had after World War One. With regards to the Japanese, they had been the victims of a relentless bombing campaign where B-29 Superfortresses ranged with impunity across the skies of Japan carrying out incendiary raids with devastating effect. But the end of their war was punctuated by the dropping of two devastating atomic bombs on Japan. 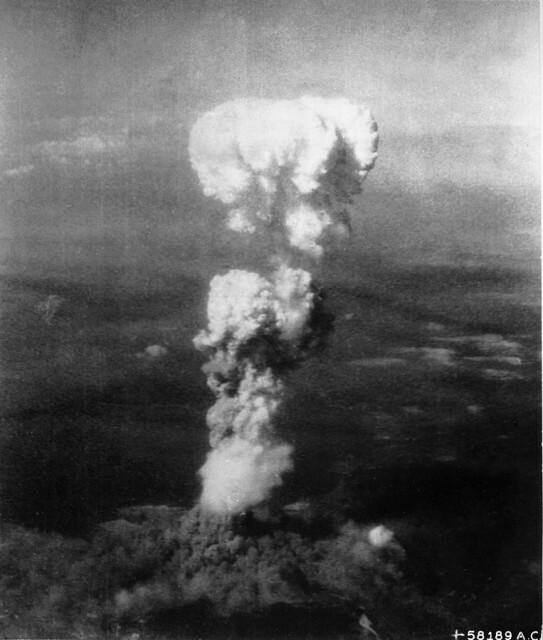 The first, on August 6, 1945, was dropped at Hiroshima and then, three days later on August 9, a second atomic bomb was dropped on the Japanese city of Nagasaki. Around 150,000 people died straight-away from the two blasts. 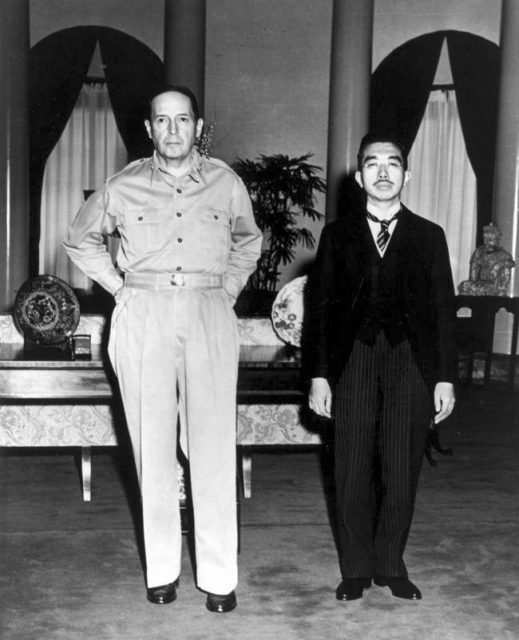 Five days later, Emperor Hirohito announced Japan’s acceptance of the terms of unconditional surrender, finally bringing World War Two to an end. Was this enough to break the will of the Japanese people or were they simply obeying the divine wish of their emperor who many saw as a living God? Japanese industrial capacity was now almost non-existent. Their armed forces were scattered and in disarray across South-East Asia. They were reduced to Kamikaze suicide attacks and were preparing to defend their homeland with groups of peasants armed with just sharpened sticks. The situation truly was that dire. The Japanese High Command concluded in 1944 that the war had become unwinnable. And maybe that is why so little thought was given to armed resistance after the war since the military presumed all its people would sacrifice themselves in the final stages of World War Two. This was highlighted by Operation Ketsugō, which was the planned defense of the Japanese homeland. The strategy was to fight the Allies at the beachhead with mass suicide attacks involving up to 6,500 kamikaze planes and 5,000 Shin’yō suicide motorboats. So much emphasis was placed on self-sacrifice that little or no thought was given to planning any kind of armed resistance once the war had finally ended. After the war, there were over 2,200 Japanese war crime trials. Of those accused, 4,400 were convicted and resulted in around 1,000 executions. This had the effect of eradicating the leadership of the old regime, leaving no clear focal point for any resistance except for the Emperor himself. But the Emperor was the one who had told them to surrender unconditionally and was very much in favor of an honorable peace. 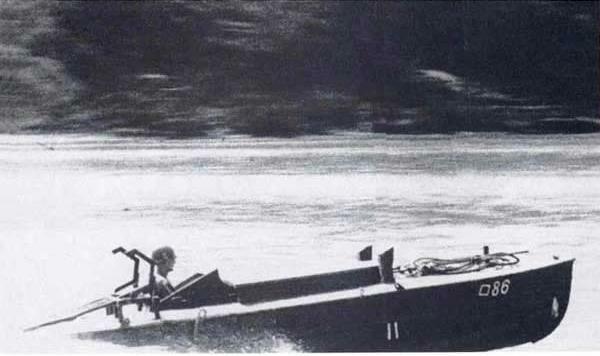 There were pockets of uncoordinated resistance after the war in isolated areas or islands. But these were on a very small scale, often just a few stubborn soldiers who could not believe the war was over. Most of these petered out within a few months of the war ending, but a handful went on for years or even decades afterward. A 2nd Lieutenant, Hiroo Onoda, held out until 1974 before surrendering in the Philippines. He believed the news of the Japanese surrender in 1945 was Allied propaganda. 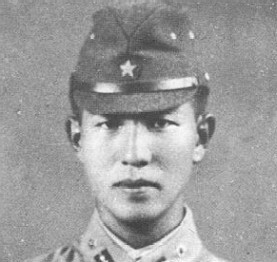 Hiroo Onoda as a young officer. Just like Germany, there was no natural or safe place to set up an effective government in exile and, even if there had been, there seemed to be no obvious person to run it. So, over the next few decades both Germany and Japan recovered their economies to become key strategic partners with the West and shining examples of well-governed democracies.